Luella’s Bridal is an enchanting boutique based in Wimbledon Village, London and has an incredible array of individual and unique bridal labels exclusively on offer. Not only this, but they stock some seriously beautiful shoes and accessories too! Yes, I know. I thought you’d love it! Happily, for one day only the boutique are offering a very unique opportunity for brides-to-be to book appointments to try on and buy a selection of samples (all ex-display dresses). 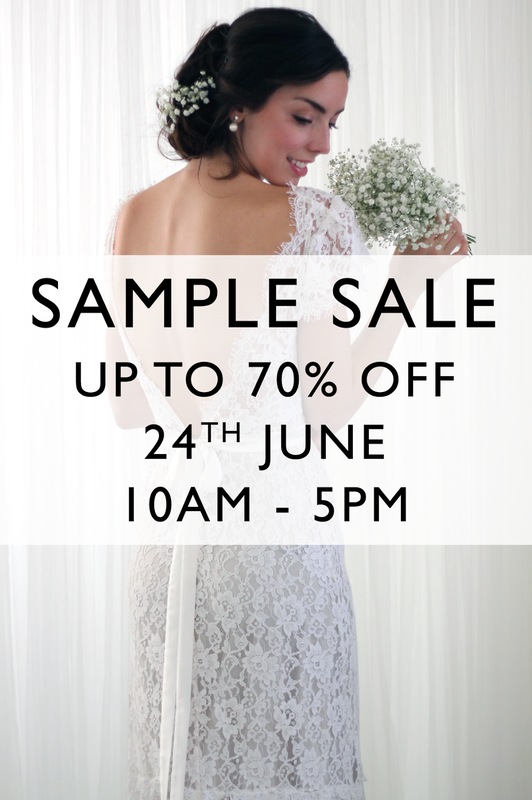 In other words: the perfect chance for you to secure an appointment and potentially come away with your DREAM wedding dress (from the likes of Limor Rosen, Vicky Rowe, Gwendolynne Sally Eagle and many, many more…) at a discount! Want to discover more about Luella’s Bridal boutique? Click here to read my interview with the boutique’s founder.